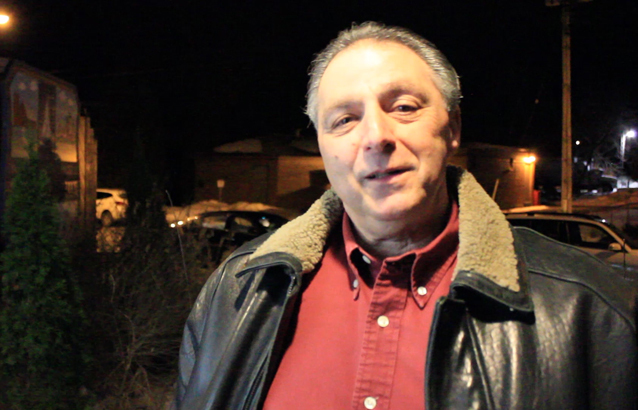 CFN – Linguistic Political Activist Howard Galganov is rolling around the idea of running as an Independent Conservative in the upcoming June 12, Ontario election. The SD&G riding currently is held by PC incumbent Jim McDonell. Liberal John Earle and his hair are running for the Liberals, while Elaine MacDonald will be stumping again for the NDP. 1 – The fallen Liberal Party whose leadership should be in prison for squandering BILLIONSupon BILLIONS of taxpayer dollars. These extraordinary BAD ACTORS have caused Ontario Electricity to DOUBLE in about five years. To know how bad it is . . . Anne and I built an extremely energy efficient farm that uses about $250 worth of electricity per month . . . including all light, heat and air-conditioning. BUT . . . Because of the Liberal’s unbelievably STUPID and IRRESPONSIBLE quest to be the GREENEST place on earth, our electricity costs are about $700 per month, bringing the overall cost to $8000 per year. 2 – The SOCIALIST NDP (New Democratic Party) is no different than the Liberals, with the exception, that they are even MORE of a LEFTIST disgrace than are the Liberals. 3 – The PROGRESSIVE Conservatives are led by a JERK (Tim Hudak), who wants to be something to everyone, whose platform is so spread all over the board, that it is little more than a JOKE and insult to the intelligence of responsible and informed voters. The FACT that this PRETEND Conservative Party calls themselves PROGRESSIVE, says all that needs to be said about who and what they are. If there are enough people who want to have a real dog in the fight then they’ll have one. If not they’ll have to settle for three blind mice. I think every riding should field indep candidates. Who are you loyal to? The party or the people that vote for you. What do you think SD&G? Would you vote for an Independent? Mr. Galganov said he would decide shortly if he was going to throw his hat into the ring or not as he’s gauging public support. Now, that is freakin’ hilarious! If nothing else, Howard is always good for a laugh. He reminds me of another politician in South Stormont. I would like to see the St. Lawrence College mascot “Shark” run as an Independent candidate in this riding. A shark could swim thru the muddy waters left by the fibberals and attack the opposition and send them running. There are no other candidates here I would give my vote to this provincial election. As I recall, Galganov has “been there and done that” before, but rocket barely got off the launch pad. Someone who is as tired as the rest of us about crazy electricity prices, contemplating throwing his hat in the ring should be celebrated. Someone who is ticked off at government waste like the rest of us, but wants to lead instead of keep paying and follow should be encouraged. He may or may not win, but his ideas just might help others to make Ontario better. It is much easier to be negative and do nothing folks, return to your regular programming or help Ontario get better, your choice! I wrote a story a few months ago that this election in Ontario should be a field day for strong Independent candidates. There are many people that don’t want to cast a ballot for one of the three main parties and if you’re MP isn’t part of the winning side there isn’t much difference in influence at Queen’s Park. As a matter of fact sometimes an Indy can get more value for constituents than a member of the opposition. There used to be a candidate in Ottawa that ran in every municipal, provincial and federal election campaign. I can’t recall his name now. But when I saw Galganov’s name he reminded me of the other guy, in it just for the sake of shaking up the campaign. Hugger sometimes bringing focus to an issue that otherwise would not be focused on is a victory. Admin I agree. I think if Galganov runs it’ll make the campaign interesting wherever he runs. I found his name, it was John Turmel. Hugger1, Turmell is the name I believe with over 70 losses. I doubt Galganov is just running to shake things up, but so what, Ontario needs a good shaking. I don’t think Galganov has a chance of being elected. Ontario rarely has independents in the OLA. But, you never know. I say Howard should go for it. As for negative comments and tendencies tossed towards him by armchair politicians I say if you don’t like what others stand for than perhaps it’s high time you got in the ring. It’s like the twenty-somethings who don’t vote. Thinking their votes won’t count or make much difference anyway they forego the practice altogether and then complain afterwards. I don’t see how anyone should brag or complain about suffrage unless they do in fact, vote. Do it, Howard! Howard kinda blew his credibility a while back when he tried to get a township to enact a law that would prevent future councils from passing bylaws regarding signage. A move that would obviously contravene the Ontario Municipal Act. He should have known that. It’s hard to take anyone seriously who seems incapable of doing a little research before setting out on a silly mission like that. I’m all for underdogs, darkhorses and independants trying to “shakeup” the status quo but I doubt if there will be much more than a little wobble caused by Galganov’s appearance. As for Galganov “leading”…no-thanks. I’ll take a pass on that. I have read his website and many of his commentaries.He won’t get my vote.